Our goal for this upper east side apartment was to transform a space originally divided in several rooms into an open floor plan, a reminder of a loft space overlooking Central Park. 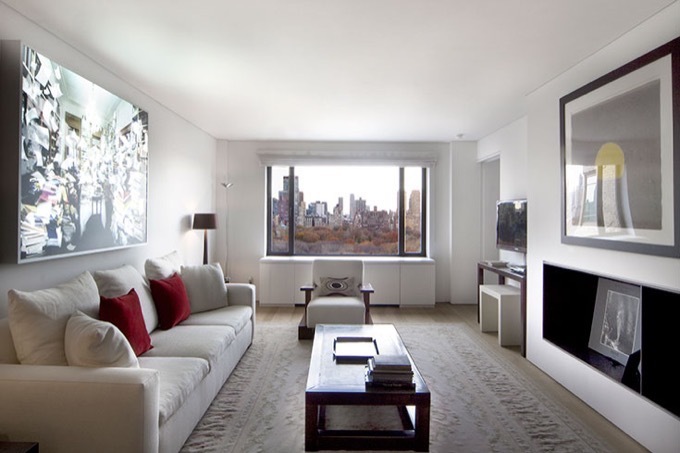 Our client, who would use the apartment as their pied-a-terre in NY, asked us to keep it as open as possible. We achieved this by keeping the windowed wall along Fifth Avenue uninterrupted and by using see-through built-in units and floor to ceiling sliding panels. 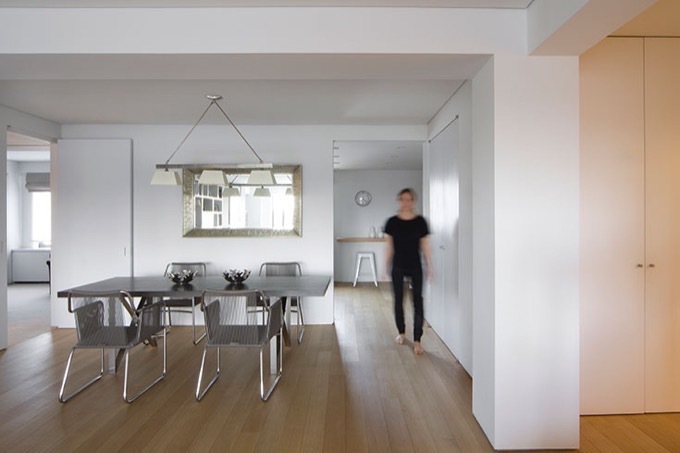 The result was a continuous and light filled living, dining and kitchen space. 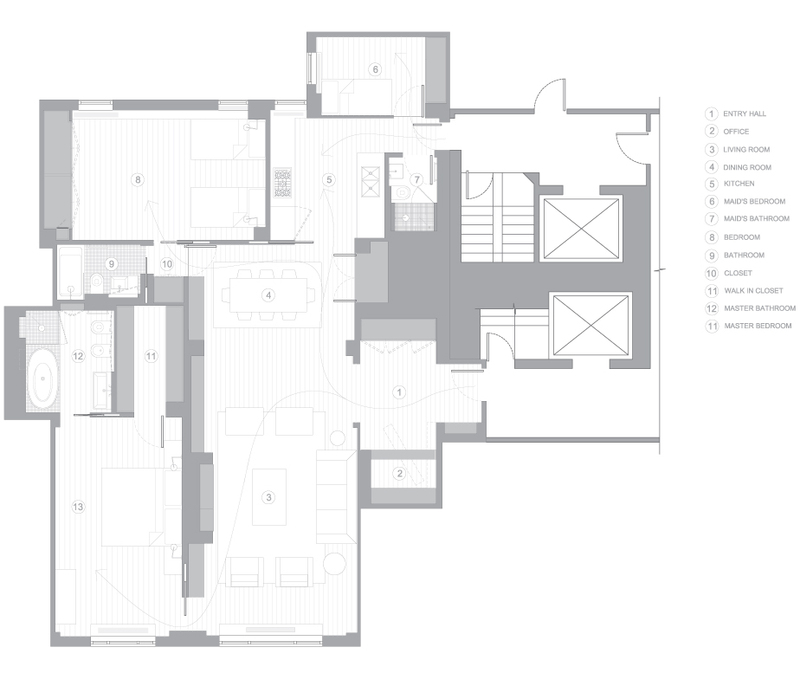 By also keeping compact, yet comfortable bedrooms and bathrooms, and dedicating openness and spaciousness to the common areas, we were able to achieve a visually uninterrupted space. 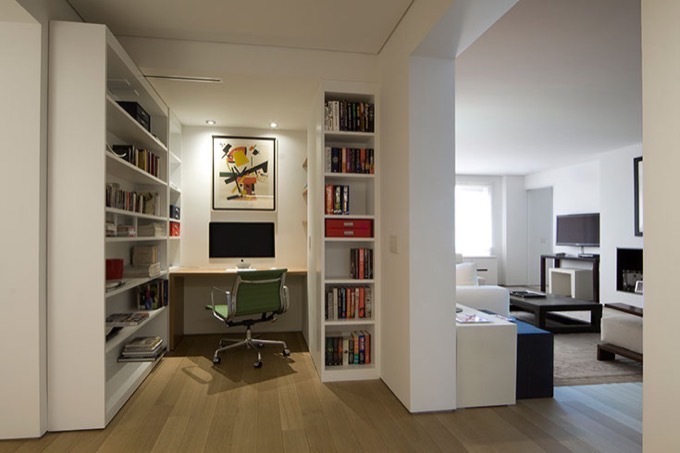 One of the challenges of the project was to accommodate a study/office space for our client. We resolved it by eliminating the existing walk-in closet near the entry and using the resulting space for the office, which is then screened when needed by a pivoting bookcase, creating a very appreciated “surprise” for guests of the house who will experience an ever changing condition in the entry of their apartment. As for the master bathroom, the decision was to allocate all things wet (tub and shower) within a tiled box of Thassos marble mosaic tile, while leaving the rest of the bathrooms walls treated with white plaster. 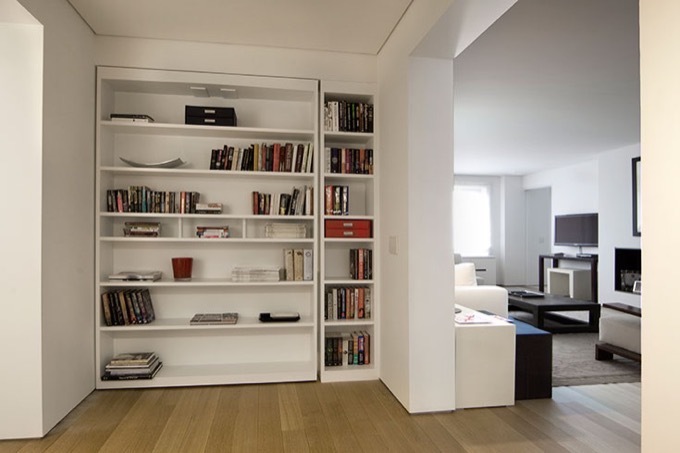 All furniture are very light in color thus allowing for an open reading of the overall space.